Anime historians loathe to settle on one ‘first anime’, going to great lengths to traverse back to the most ancient relics of Japanese animation. But I’m going to have to pick a practical starting point that doesn’t have me dusting off my tools and traveling to Japan on an archaeology expedition. A popular choice for kicking off anime history articles tends to be the film Hakujaden (Panda & The Magic Serpent), and the arguments for it are pretty compelling. For a start, it’s the first commercially produced animated Japanese feature film and Asia’s first full colour animated feature. Far more important though is the fact that this film established an industry for full-blown animation production, the industry that remains alive and kicking today. For the first time, animation was being produced in Japan not just by small independent companies doing short films and odd-and-ends jobs or by the military, but by a big company with a large workforce and a full production system that had plans to be around for years to come. I chose Panda & The Magic Serpent not because it is the first piece of animation from Japan, but because it’s the point from which Japan’s animator workforce exploded and the fascination with animated entertainment became ingrained in the national repertoire. If you want to read about Japanese animation before this film, I recommend John Clement’s great book, Anime: A History. Released in 1958, Panda & The Magic Serpent is Asia’s first colour animated full-length feature film, and it didn’t pull any punches, delivering an impressive production quality across 214,154 drawings. 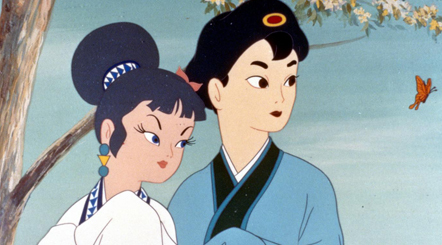 Planning started back in 1956, when it was announced as an animated adaptation of the Hong-Kong/Japanese co-produced film Madame White Snake, based on the Chinese folktale Legend of the White Snake . Toei head, Hiroshi Okawa, would make this the first of what would be many feature-films created by his new animation subsidiary, Toei Douga. While the live-action film was co-produced with Hong Kong, this animated version would handled entirely within Japan. The following two years leading up to the film’s release represent a monumental push for the new company to not only create a distinguished animated movie but also simultaneously train up an entire generation of new animators – the foundations of an industry. Panda & The Magic Serpent is the story of Toei Douga. Toei Company itself was under the umbrella of the Tokyo Yokohama Rail Company. The company owned cinemas around many train stations and wanted to use them to target women and children as a demographic. Following the attention garnered by the colour release of Snow White in Japan in 1950, and eyeing the potential revenue from animated advertising that public broadcast television offered from 1953, Okawa Hiroshi founded Toei Douga with brash goal of being the ‘Disney of the East’. Don’t mistake this as an intent to just copy Disney’s style or content, but as an aspiration to achieve what Disney had achieved but at home. Okawa wanted to regularly output animated films that could match Disney’s professional quality and to have the same sense of industry, that scale of manpower that could push out impressive feature films like clockwork. He shocked even the veteran animators with his proclamation that the company would eventually ‘output 2 feature length animation films and other smaller works a year’. Although not always remembered as a warm or charismatic individual, Okawa’s steadfast optimism and resolve can’t be denied. By all accounts, he was at the time more hopeful about the future of animation in Japan than the animators themselves. The audacity of creating Japan’s very first colour animated feature film with almost no existing industry or expertise in making anything of this scale cannot be understated. Before Toei Douga was created for this task, the largest existing Japanese animation production studio was Nihon Douga-sha (Nichidou for short), which had only 20 members and were working out of a makeshift office on a high school’s grounds. These guys had done some independent animation before and that made them the closest thing Japan had to veteran animators. Nichidou became Toei Douga in 1956, which brought across its most senior animators and the true grandfathers of anime, such as Yasuji Mori and Akira Daikubara. With a sizeable investment, these animators suddenly found themselves housed in a brand new office building with air conditioning, with new desks and supported by new staff. 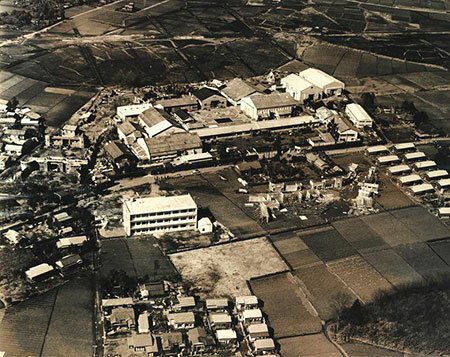 In 1957 this new company produced the black-and-white short film Kitty’s Graffiti and then began ramping up its efforts to tackle Hakujaden. Obviously, the scale of this film demanded many more hands and Toei scouted any aspiring animators from colleges of fine arts as well as general public recruiting that saw a deluge of entrants from many walks of life. Still in a post-war lull, employment was hard to come by, and this represented a good opportunity to go in with little or no qualification and become trained up. In this wave of recruiting came Yasuo Otsuka (another deeply influential figure in the anime sphere), Daikishiro Kusube and many others. The origins of anime itself can truly be traced back to this humongous, conscious injection of effort and, presumably, corporate cash to build up an industry that could leave a legacy almost from scratch. The road was certainly rocky, with the early company struggling to recoup costs and marred by labor disputes, but to his credit Okawa reached his goal for the studio’s output within 6 years. 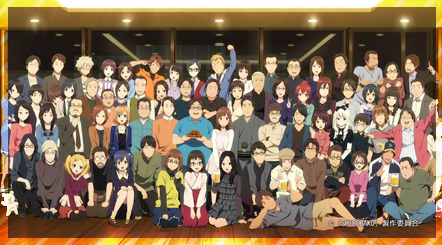 In some ways, Okawa’s efforts were a success beyond his imagination – Toei Douga, now Toei Animation after being reborn, is still a major animation player in Japan but, more importantly, the creators he gave the tools back then started their own dynasties that ended up being the workforce of today. Hakujaden’s only two credited key animators were the two more experienced members of the absorbed Nichidou – Yasuji Mori and Akira Daikubara. While it’s not strictly true that they were the only staff who did key drawings, they certainly did the bulk of them and it cannot be overstated just how much of a driving force these two guys were. To fully appreciate it, you first need to understand that a key animator back then had a very different role. In these early days there was no animation director, certainly no chief animation director, and no storyboarder. 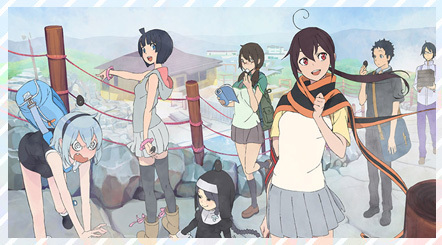 For Hakujaden, the key animators were standing at the very top of the food-chain in terms of the animation production. In truth, they had another very important role – that of a teacher. Replicating the Disney apprentice program, Toei focused on training up animators through it’s work. It was half-jokingly coined as ‘Toei University’ at the time, and this focus played a big part in Hakujaden. Mori and Daikubara were each given a team who would handle their in-betweens and learn from their corrections and mentoring. In all, 30 animators put pencil to paper for this film. For their following movies they put in place a more structured and hierarchical ‘seconding system’, but initially it was very much a hands-on teacher/student kinds of arrangement. In early Toei, the key animators were the founding leaders and mentors of an animator generation, and not just responsible for the drawings in a scene. Almost every animator in the years after this film will have worked under them in the ‘Toei University’. Being so crucial to the film, these guys’ very distinct personalities shine through in a very obvious way, and really shape the impressionable generation brewing below them. The film was split between the two based upon their animation philosophies and predilections, with Mori receiving the gentle and spritely characters, particularly the animals, and Daikubara being given the more masculine humans and the action scenes requiring rough action or natural phenomena. But the distinction between the two treads deeper than just handing different kinds of cuts. For Panda & Magic Serpent, Toei Douga leveraged a kind of rotoscoping, which was common in Disney’s animation. Many of the sequences involving people were actually filmed in a studio acted out in full by genuine actors. Stills from this footage were then used by the animators for their drawings. This added significant effort and expense to the fill as even more difficult parts like the stormy seas were recreated with actors in the film studio. Nevertheless, they continued to use this model for at least the next couple of movies. 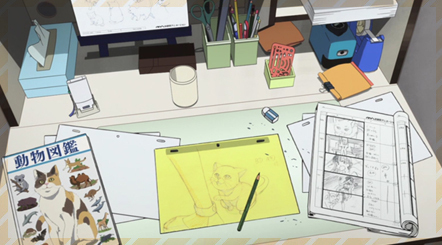 This approach mainly applied to Daikubara’s parts involving the human characters, with Mori needing to resort to more genuinely conceived animation for his fanciful animal sequences. Hence, Daikubara’s bits often presented the awkward surrealness that rotoscoped animation usually entails, while the early tenets of animation that underpinned Disney’s work are far more clear in Mori’s work. Their personalities were allowed to guide the way they worked and this manifests clearly in movie. Mori’s nature was clean and precise, and he demanded rigid quality from his animators. Daikubara, on the the other hand, was much freer and more liberal with the drawings he accepted. Daikubara’s less uniform tendencies meant that he, in turn, entrusted certain sequences to in-betweeners based on their own strengths. And he’d go ahead and use it. The most famous of these in-betweeners is Yasuo Otsuka. Otsuka, at the top of the douga credits, was charged especially with sequences involving natural forces, being integral to the stormy sea cuts including drawing the giant catfish. Ever able to draw from nature and his real surroundings, Otsuka got a real catfish to study its movements – perhaps the first steps towards realism in anime. He would later become well-known for another giant fish sequence in Horus Prince of the Sun. Indeed, Otsuka went on to become a revered pillar of Japanese animation, creating a legacy in Samurai Giants and Lupin III, among other things. Far from a Daikubara disciple, he also worked extensively with Mori and was greatly inspired by him. It’s obvious that Otsuka was a star among the new recruits, handling some of the most memorable moments and even staking a claim to some legitimate key animation for the fish sequence (2 cuts). Yasuo Otsuka’s key animation for the catfish sequence – note the lack of peg holes on the genga – Toei didn’t start using these until they adopted widescreen filming for their next movie. Another name who appears in this film is Daikichiro Kusube, who was a second under Mori. 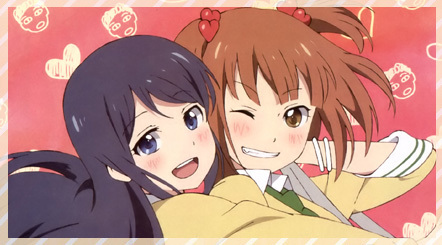 Despite being under the more perfectionist of the two, Kusube audaciously pushed for Mori to let him bypass the seconding system and key animate some of his own cuts (uncredited of course). Continuing this rapid upward trend, Kusube would only be at Toei for a few more years before moving on to found his own studio, A Production. Kusube was known for attracting the more eccentric staff at Toei, and many of those who learned under him soon went on to leave their own mark on the industry (such as Kimura Keichi on Tiger Mask). This work style is very apparent in their animation; Mori’s cuts are polished and all cleanly articulate his vision, while Daikubara’s are much rougher and varied. Daikubara’s animation occasionally feels messy, but other times its roughness is exhilarating – likely depending on which in-betweeners he was working with. Mori is far better known than Daikubara was, and he weaves a certain magic into his animals that steals the show even in this first Toei venture. Daikubara’s impact can’t be ignored though – his free nature and tendency to push the boundaries in both realism and comically exaggerated drawings (coined as mangateki kocho style) seems to have spurred a creative energy in his understudies that would snowball into the kaleidoscopic industry we have today. If you want to learn more about him, check out Jonathan Clements’ obituary. In 1958 Disney was the undisputed gospel of animation, and all of these guys were zealous in their pursuit of the company’s knowledge and techniques, importing and translating books by their animators (such as Animation: learn to draw animated cartoons by Preston Blair). Yasuo Otsuka would even hand-copy books he borrowed from the library, translating the text and re-sketching all the illustrations. This isn’t too surprising given Otsuka’s innate predilection for sketching with utmost precision since he was a child infatuated with steam trains. It’s clear that they adopted many of these ideas in their work, and this early work seems to display it more, almost as though they were still in the imitating phase of learning it. There are a number of cuts in the film that almost seem designed to put these fundamental concepts to practice, and although you have to admire their passion for their work, it occasionally feels a little too on-the-nose Disney. Some cuts in the film feel too textbook, such as the use of anticipation in the above cut. Different characters act differently, partly by the nature of dividing them and their respective cuts to different key animators and, in turn, to different in-betweeners. But also by a kind of innate personality; Yasuji Mori’s work best demonstrates this – all his characters have individual demeanor and gait, and it’s clearly deliberate. 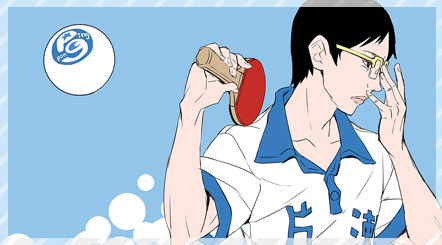 Most obviously, the protagonist has less movements, being gentle and reserved, while the young Xu-Xian is playful, stepping from side to side, twirling and just generally making a lot of unnecessary movements. More nuanced are the differences between the pandas, Panda and Mimi, who share Mori’s animal spirit but have their unique tempo and pace. At the time, the understanding was that animation at the cinema was all about spectacle – nuance in storytelling had to cede ground to big grandstand sequences of astonishing animation. This meant that Mori and Daikubara each handled sequences that would push their approaches to the limit. The result is a film that feels disjointed, clearly swinging between the style of the two. In a way, it’s like a clash of two churches of animation – the clean and precise versus the loose and free. Otsuka has described one of the fight scenes in this film (which Mori keyed and he ‘in-betweened’), a scuffle between a large, thuggish pig and the cute panda, as building on the distinctive styles of the two lead animators. Daikubara’s bold and impact-focused style was suited to these large, lumbering characters with strong but inelegant movements, while the panda’s soft and refined bearing is almost a personification of Mori. The hammer is a significant feature in Toei’s earliest days, especially for Otsuka. A similar cut of a boy ramming in a stake with hammer swings was actually the entrance test devised by Mori which Otsuka took to get into Toei animation. It seems to have resonated with him as he continues to use it as an exercise in his present post of teaching animation at Telecom. In its purest form it’s a great foundation exercise in using key frames to portray balance, human movement and gravity. Perhaps a sign that the film was really a grand training exercise, a similar hammer swinging cut was used as the Toei entrance exam. Mori (in trademark hat -left) and Daikubara (to his right) are caricatured in this image. It’s interesting that the job of the animator hasn’t changed all that much in the 60 odd years since Hakujaden. Sure, we have different roles and they have new tools like tablets at their disposal – but at the end of the day they’re still drawing a series of key frames and in-betweens. It’s what happens to those drawings next that has been most revolutionised by technology, particularly in the last couple of decades. Prior to around 2000 each drawing had to be replicated onto transparent cel sheets, painstaking hand-painted, and then mounted in as a layer in a machine called the animation stand. The stand allowed for the layers to be composited, lit and filmed frame by frame. Read more about the animation stand in my article on Photography & Composition. You can probably guess – it was a hell of a lot more effort than scanning cels? to be painted and composited in animation software! When you consider this, the actual role of the animator was comparatively minor in terms of labor – there were many more hands involved in painting and filming. It’s why Hakujaden was such a feat – getting the labor force and technology wouldn’t have been cheap or easy! While the animation department was almost entirely staffed by males, the tracing/painting department of Toei was largely comprised of women, and lower paid. It was thought that women had a better eye for colour, while men were better inclined to the draftsmanship needed for animation. This perception was unfortunately used to keep women from moving up to better paying roles within animation, and would be a factor for some in the ongoing labor dispute at Toei. Despite these issues, Toei’s original painting department would become renowned, with few matching its gamut of colours since. Hakujaden’s colours are rich and smooth with a cinematic warmth that compliments this kind of animation. There are a few colouring mishaps throughout though, and not subtle ones either. It’s worth noting that linework is not at all emphasized, and the palette is dominated by soft yet vibrant colours. The linework is carefully coloured along with the painted colour of the area (i.e. matching skin tone or frabric colour). This is largely due to the fact that the tracing/painting teams were the same department back then and the whole drawing needed to be completely repainted by them anyway. Future advancements within the next decade such as Xerography/machine-tracing meant that the linework could be photgraphed onto cel and the painters would just need to paint it in. I’m not sure if Toei used this on their films (they certainly did on their TV work), but either it coincided with a prevailing style shift to black lines (which, interestingly, is now started to change again). The fine art department would also give any production today a run for it’s money – good proof that better technology doesn’t make things artistically better. Interestingly, the background art is the clearest departure from the Disney style in this early venture. It forgoes the soft fairytail appeal for a more abstract and harsher style. Although often overlooked, background artwork has always been an element of anime with a distinctly Japanese spin on it, and has underpinned many of the medium’s most iconic works. The photography and compositing work is perfunctory at best. The layers are relatively stable without much noticeable wobble or big chunks of dirt/hair on the cels, which is big tick, and frankly a lot better than many photography departments in anime were doing decades later. However, it’s kept very simple and shies from capitalising on the artistic potential that compositing can offer 2D animation (see my post on the subject if you want to know what I mean). The shots are lacking in perspective – the camera is almost always flat on the character. It may be partly because of the stage-play film-making ethos of the time but is probably mostly to make the animation easier to draw and, especially, film. The camera also loathes to ‘move’ – while there are some pans, there film is largely a series of static shots. When these pans do appear, they’re a conservative, one-dimensional affair. Us anime fans are spoiled nowadays, with digital compositing encouraging the camera into all kinds of free-spirited acrobatics. While the animation back in ’58 still has a certain timeless essence that holds up, the conservative photography is hard to miss. On the other hand, a number of cuts have do a certain visual depth, achieved with nifty compositing with layers of background art that goes beyond mere foreground/background. Characters often weave in and out of parts of the backdrop, behind corners of buildings, around poles, etc, stopping the film from feeling too flat. They also do weave in some rudimentary live-action special effects which I’ll give them points for. 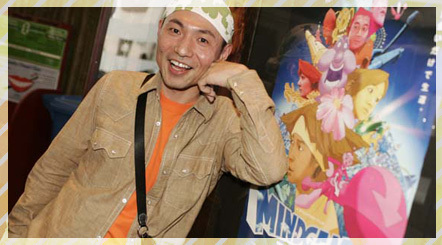 But (at least according to Jonathan Clements), despite their dedication, the animators were disenchanted with the film, including Yasuji Mori himself. If I had to guess, I’d say this lack of love for the work was due to the industrious and rigid Toei of the time which always sounded like more of a corporate quagmire that bled creators dry rather than inspired them. There’s no coincidence that those who thrived in this environment and went on to form Ghibli, Miyazaki and Takahata, had a notoriously demanding work ethic. It’s not just a generational thing, Toei as an institution forged hard auteurs and shed the free-willed artist types. Although Okada can be credited with forming Toei, he was far from an inspiring leader. I mean, you can sample his high-pitched whine for yourself here in the “trailer” for Hakujaden. At the onset, there was this sense of conflict between the pay gap between the animators and art staff and the paper-pushing staff transferred in from the parent rail company or other groups under its umbrella. Flaws in the seconding system would eventually become clear that saw the hard work of many aspiring animators rewarded equally alongside the lazy and incompetent. These issues would eventually boil over, but Hakujaden was produced against this backdrop of simmering disenfranchisement. But this sure as hell didn’t stop the more prominent animators from throwing themselves at the task of bringing their cuts to life. However, it seemed like the animators didn’t connect with the film in the same way they would later down the road. It’s fair to say that this movie isn’t only worth mention as a statistical milestone, but it is the real genus of the anime industry today, both in terms of its approach to production and the organic, always evolving chain of personal influences and philosophies. Although the film was a success, it by no means turned Toei Douga into a profitable company (the huge cost of animation production was something that meant even Disney could scarcely recoup costs at the time). 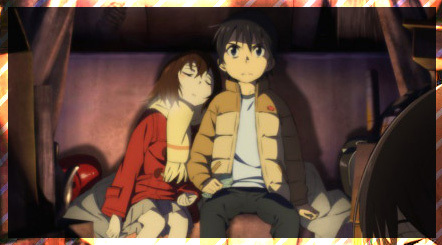 Nor was it critically claimed or regarded for its storytelling (although Hayao Miyazaki earnestly states that he was infatuated with the girl character, Bai Niang). Rather, it was the mere fact that it had been completed that made it so impressive. Through the vision of Okawa, the talents of Japan’s only seasoned animators, Mori and Daikubara, and the thankless hard work of countless other staff, Japan had created a feature length colour animation work. This astounding realisation encouraged a whole generation of animators-to-be, proving that the medium had a future in the country. Maybe a lot of people assumed that the anime industry just sort of crept into being, but the fact is that we owe it to this enormous, conscious undertaking. Okawa was no passionate creator, but without his conviction anime in Japan might still be limited to small groups doing independent short films. John Clement’s superb book on the history of anime – Anime: A History, and articles over at his blog. 1. How is Mitsuyo Seo’s Momotaro’s Divine Sea Warriors not the first japanese animated feature film? 2. 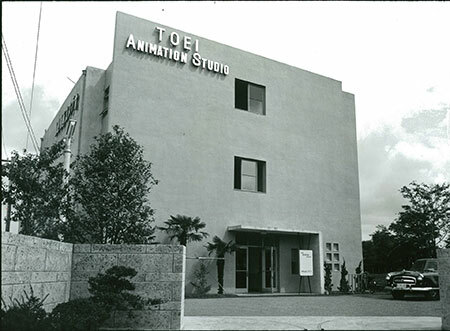 You mention the studio picture as “Toei Douga’s original office, built just for the studio, and initial recruits pictured there”, clearly delineating it within the late 50s period, whereas the source you took it from stablishes it as taken after the fourth reform of the studio, before the production of “Ookami Shonen Ken”, started in late 1963. Please reconsider.